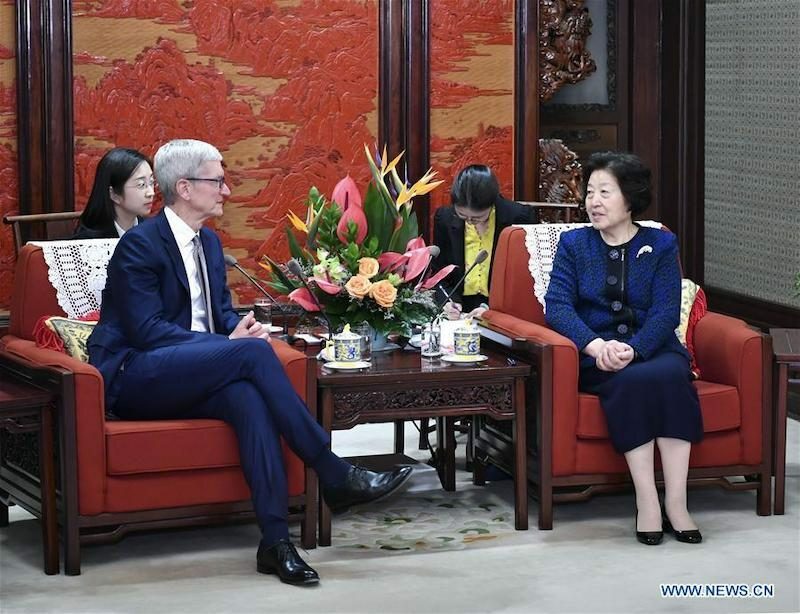 Apple CEO Tim Cook is in China this week ahead of the annual China Development Forum that promotes economic growth in the country. Cook was photographed at an Apple Store in Beijing's central Wangfujing shopping district on Thursday, where he attended a music-related Today at Apple session. 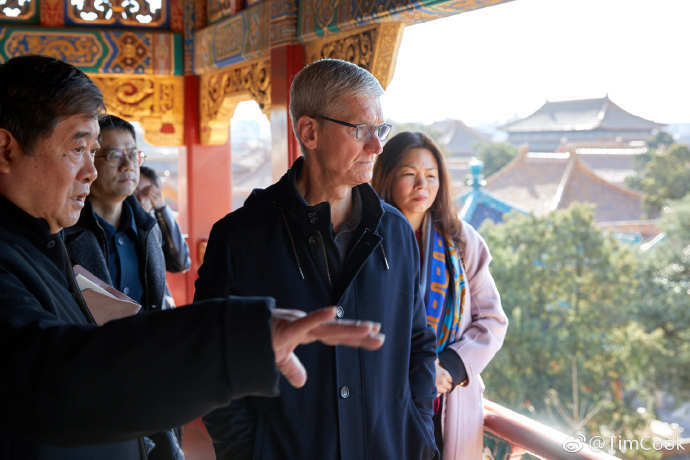 On Friday, Cook met with developers and visited the Palace Museum, which has an ARKit-based app that offers tourists an immersive experience. Later on Friday, Cook met with politician Sun Chunlan, a Vice Premier of the People's Republic of China. The state-run news agency Xinhua claims that Sun made positive remarks about Apple and the company's role in Sino-U.S. relations. Cook, who has shared pictures of his trip on Weibo, is reportedly set to attend the annual China Development Forum in Beijing on Saturday. Cook co-chaired the event in 2018, calling for stronger data privacy regulations in the wake of the major Facebook and Cambridge Analytica data scandal. Cook will then likely take a direct flight back to California in time for Apple's media event on Monday at Steve Jobs Theater, where the company is widely expected to introduce two new services for streaming video and magazines/newspapers. I commend his efforts with humanity and privacy in China, but nothing good in the long run will come out of doing business there. China will copy/steal and eventually shut out every western company. I love America, I love freedom - Cook, Tim. He loves the 1 billion emerging market that will put more money into his and Apple bank account. And APPLE is indeed willing to censor its platform to be successful there. Sad. As are all other companies out there. Once they move all the development jobs there then they can finally say screw you to America. At least we are collecting taxes from them in the meantime... oh wait. Remember those articles about the new engineering campuses being built in China? When Apple decides they need to downsize, the more expensive American workers will be at the top of the list.